In fact, a lot did happen over the last 10 years. Now the reason for my reflective mood is that the 10th anniversary edition my first book How to Grow a Multi-Million Dollar Portfolio in your spare time has just been published. And while there was evidence that our property markets were starting to recover, there were still stories in the papers of the Sydney property crash with house prices having fallen 10% from their peak in 2003, especially in Sydney’s south western and western suburbs where rising petrol prices and the impact of repeated interest rate rises were pushing some homes owners into debt crisis. A decade ago, in the first edition of How to Grow a Multi-Million Dollar Portfolio in your spare time, despite some people thinking I was crazy, I was bold enough to recommend buying well located residential real estate in Sydney and Melbourne. Well, look what’s happened since – according to CoreLogic RP Data , Sydney’s median house price is now $881,800 and Melbourne’s sits at $640,000. It’s interesting to look back now and realise that no one knew of the iPhone back then (well apart from Steve Jobs perhaps) and the seeds of the sub-prime crisis was already building in the US but not many people knew about it (or they weren’t talking about it at any rate). Ten years ago variable interest rates hit more than nine per cent because of rampant inflation, but here we sit today with inflation going backwards and rates less than half that. That’s an amazingly different set of statistics when you think about it. So one of the key differences in my personal investment strategy since that time is that I now look more into the future than the past, as I’ve realised you just can’t foresee the future looking in the rear view mirror, no matter how much research you do. Instead today I focus my research on where future economic growth is likely to occur because this will lead to jobs growth, which leads to more people, more housing demand and ultimately to capital growth. I’ve also further developed my 5 Stranded Strategic Approach to ensure that the properties that I invested in, and the ones that I recommend to our clients, are investment grade, which will likely weather any temporary vagaries of the national or global economy. At the beginning of this decade (in 2010) I made a prediction that by 2020 Sydney’s median house price would hit $1 million. Well, it actually happened in half the time that I predicted, which is another downside downside of forecasting! 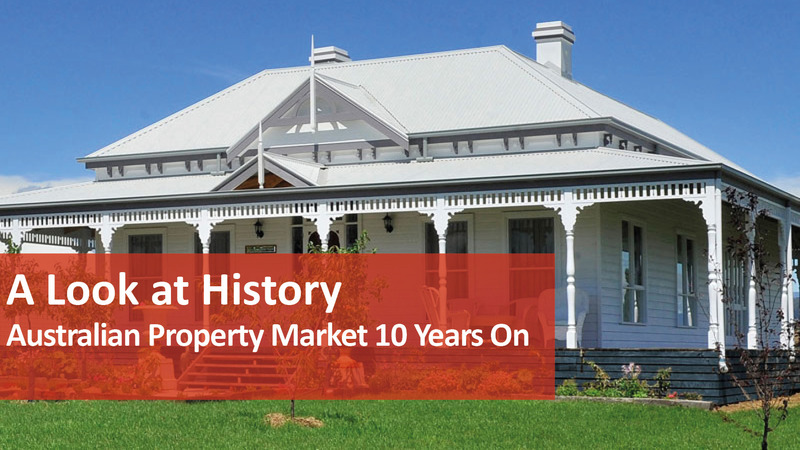 In my next blog in this three-part series on the Australian property market now and then, I’ll outline how the markets have changed for the better and, unfortunately, for the worse. To learn more about growing a multi-million dollar property portfolio, don’t forget to pick up a copy of the special 10th anniversary edition of my best selling book- How to Grow a Multi-Million Dollar Portfolio in your spare time. WHAT WILL HAPPEN TO YOU IN THE NEXT DECADE? If you want to become financially free through property, my advice is to stick to your original strategy- you do have one, don’t you? This will mean that you won’t get distracted by all the market noise. 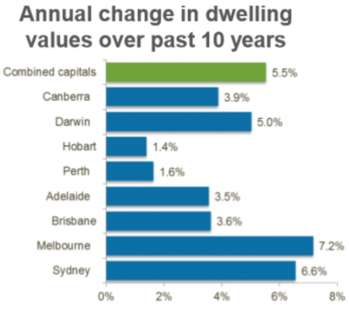 Think big picture and long term and remember that Australia’s population growth and our relatively strong economy will ensure that well located “investment grade” properties will keep increasing in value over the long term.